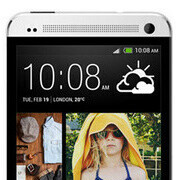 Will the HTC One look like this after all? Okay, we're confused now. Right when we thought that the HTC One, formerly known as the HTC M7, was supposed to look like this – a slightly smaller HTC Butterfly look-alike, Evleaks throws this seemingly legitimate rendering on the table. For those who don't remember, the pictured handset looks a lot like the very first leaked image allegedly depicting the smartphone. 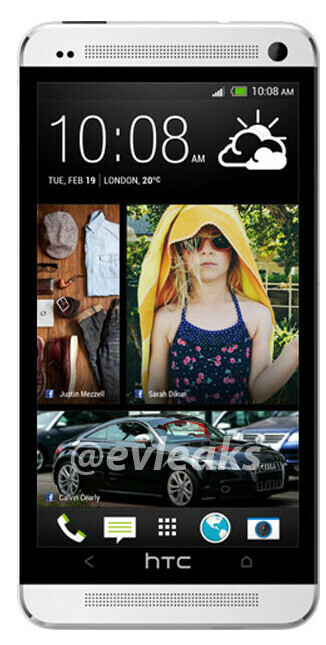 Of course, this new image of what is claimed to be the HTC One might be fake. We come across high-quality concept renderings of upcoming hot smartphones almost on a daily basis. But on the other hand, the device could be real, although it might not be exactly the smartphone we think it is. You see, HTC is expected to announce several new Android smartphones soon. One of them is the M7, while the other two are being referred to as the M4 and the G2. Perhaps the phone we see here is one of the two latter devices. But that's just us making guesses based on unconfirmed information. We'll all know what the truth is in just several days, right after the official HTC press event scheduled for February 19. I guess we will have to wait to find out! Bring it on HTC! but there is no third button at bottom. looks weird. where is app killer task manager. and the botton bar should be transperant. Probably would make a nice speakerphone and louder ringers/ alarms. It actually makes much more sense to put them in the front. Think about it. Looks WAY too much like the Z10. I would rather them go with the big WP 8X design than this. Though, I still love the idea of front speakers. The Evo doesn't have the bottom part. To me this looks like if they put a screen on the back of the iPhone 5.
i appreciate the new design..and the ui looks really slick.gotta wait to find out what's the real deal. everything with a curved edge doesn't look like an iphone. This time it looks that the Sense interface is not that heavy infact i like how htc has used Matt icons now and interface now looks abit trimmed. The position of thier touch capacitive buttons do not look well in place, this will cause accidental presses also the Name "Htc M7" sounds way better than the old type name Htc one. Seriously they should'nt name it One again. Fake. Can't anybody notice the chamfered edges from the iPhone 5.